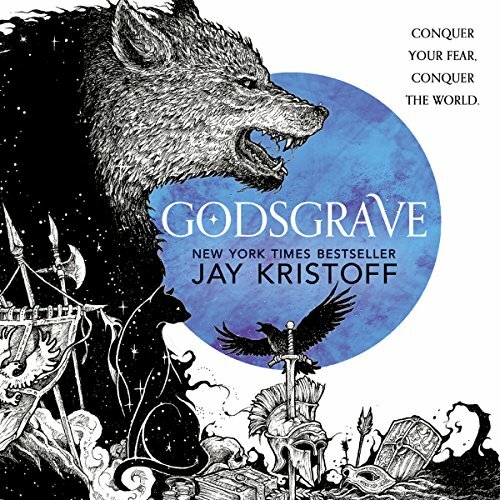 A ruthless young assassin continues her journey for revenge in this new epic fantasy from New York Times best-selling author Jay Kristoff. Conquer your fear, conquer the world. Mia Corvere, destroyer of empires, has found her place among the Blades of Our Lady of Blessed Murder, but many in the Red Church ministry do not believe she has earned it. Her position is precarious, and she's still no closer to exacting revenge for the brutal death of her family. But after a deadly confrontation with an old enemy, Mia begins to suspect the motives of the Red Church itself. When it is announced that Consul Scaeva and Cardinal Duomo will be making a rare public appearance at the conclusion of the grand games in Godsgrave, Mia defies the Church and sells herself into slavery for a chance to fulfil the promise she made on the day she lost everything. Upon the sands of the arena, Mia finds new allies, bitter rivals, and more questions about her strange affinity for the shadows. But as conspiracies unfold, secrets are revealed and the body count rises within the collegium walls, Mia will be forced to choose between her loyalties and her revenge. I loved this book. Sometimes the violence made me cringe a bit, but Holter Graham is such a brilliant narrator that he sweeps you up in the fight. Can’t wait for the next book. The bloody beauty. That is this series ... and also the main character's nickname, but still. This book (and its firstborn sibling) are both beautifully written and bloody. I love them. As for why I love/hate our dear author? Well, you will just have to read it and find out for yourself. The only thing I would recommend to you is purchasing a copy of the paperback as well so you can look at the beautiful cartography within.